Following a stellar 2017, will the tech sector continue its growth spurt in 2018? Wall Street is unclear. Although tech still boasts the highest expected sales growth and profit margins, it also has the highest risk from tax reform, valuation, and government regulation says Goldman Sachs. This means investors need to be savvy about how to pick winning tech stocks going forward. Here we used TipRanks' Top Analyst Stocks tool and Stock Screener to find top tech stocks with 1) a Strong Buy analyst consensus rating and 2) big upside potential for the coming year. The data is all based on Street ratings from the last three months. Within the tech sector, these five stocks still stand out as particularly compelling investing opportunities. This UK-based payment processing company Worldpay (WP - Get Report) is already up 26% from last year. But now the company is on the cusp of something much bigger. A merger has just been finalized between Worldpay and another payment processing company, Vantiv. The result: the world's largest payment processor, handling a combined $1.5 trillion worth of transactions a year. Post-merger, the company will stick with the Worldplay name. So far, the Street reaction to the deal has been overwhelmingly positive. Top BMO Capital analyst Paulo Ribeiro upgraded his rating from Hold to Buy on January 18. He now has a $95 price target on the stock (21% upside potential) and called Worldpay one of his top picks for 2018. With an improved revenue growth profile and margin expansion, Worldpay will now report higher EPS in 2019 says Ribeiro. And at the same time, the new combination will support "higher multiple with compelling opportunities, in particular in e-commerce and SMB [small and medium-sized businesses]." Our data reveals that Worldpay Inc is a 'Strong Buy' stock with an impressive 18 recent buy ratings. This is versus just 3 hold ratings. Meanwhile, the average analyst price target of $87 indicates 11% upside potential from the current share price. Wireless network operator T Mobile (TMUS - Get Report) is gearing up for considerable success in 2018. The company has just been crowned the US's top wireless network by OpenSignal's "2018 State of Mobile Networks" report. T Mobile beat companies like Verizon, AT&T (T - Get Report) , and Sprint (S - Get Report) in five out of six major tests, including 4G download speed and 4G availability. Five-star Oppenheimer analyst Timothy Horan calls T Mobile one of his top picks for 2018. He reiterated his T Mobile buy rating and $75 price target (18% upside) on January 10, following an 'upbeat' industry conference. Management "was very upbeat on the company's recent strong momentum continuing in FY18" and reported solid subscriber growth says Horan. Not only does T Mobile now have the fastest network, but it will soon "be greatly enhanced by the aggressive rollout of its 600Mhz spectrum." Indeed, Horan believes that increased coverage/capacity should continue to "drive flow share in the 60%+ range for the industry". Overall, T Mobile boasts 100% Street support from 12 analysts. That means that in the last three months this stock has received no hold or sell ratings. These bullish analysts are projecting (on average) that the stock can spike 18% from the current share price to hit $75. 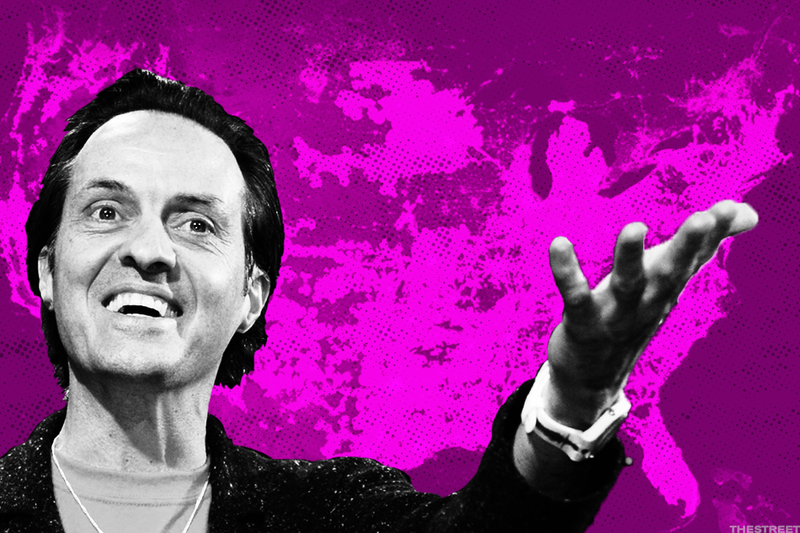 T Mobile CEO John Legere should like his stock, a lot. Most notably, five-star KeyBanc analyst Brent Bracelin believes MB has 'ample opportunity' to sustain 25%+ revenue growth for several years. He has just published a bullish report on the stock ramping up his price target from $34 to $41 (17% upside). "We have increased confidence in growth drivers for this year and next, including the price increases and potential for the new monetization opportunities to kick in" the analyst explains. Shares exploded by 40% over the last year but top analysts say the stock still has impressive growth potential ahead. With 5 buy ratings in the last three months, this 'Strong Buy' stock has an average analyst price target of $38.38 (12% upside potential). "Less time spent on Facebook (driven by the feed being less cluttered with posts from businesses/brands/media) leads to decreased supply, and thus higher pricing," says William Blair analyst Ralph Schackart. One large digital ad buyer even told Schackart that Facebook ad prices could rise by as much as 25%. Piper Jaffray's Samuel Kemp agrees. He says the product may become more pleasant to use and concludes: "We see this as the right long-term decision for the platform and, over the near-term, doubt that this will have a material impact on revenue." Facebook is consistently one of the Street's top stocks. In the last three months, Facebook has received no less than 29 buy ratings with just 1 hold rating and 1 sell rating. The bullish $217 indicates upside potential from the current share price of 20%. 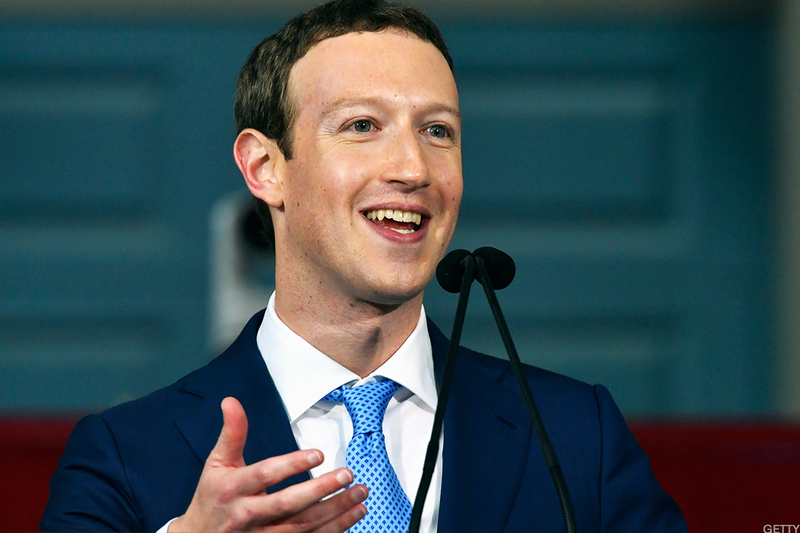 Facebook CEO Mark Zuckerberg is making changes to social media giant. If you're looking for a cheap stock to buy with big upside potential, check out video game developer Zynga (ZNGA - Get Report) . The company is behind such classics as FarmVille and Zynga Poker and is currently trading at just $3.72. Cowen & Co analyst Doug Creutz sees Zynga as a compelling investing opportunity right now. He called Zynga a 'best idea' for 2018 with an attractive valuation. He notes the company's steady progress towards its EBITDA (earnings before interest, taxes, depreciation and amortization) margin target and the strong mobile gaming market growth. Furthermore, Creutz pinpoints the unveiling and launch of the company's pipeline in 2H18 as an upcoming catalyst for prices. A 'Strong Buy' stock, Zynga boasts 4 recent buy ratings vs 1 sell rating in the last three months. From the current share price, analysts (on average) anticipate the stock rising 23% to hit $4.57.